Bozeman Personal Injury & Workers’ Compensation FAQs | Foust Law Office, P.L.L.C. Getting information after an accident and injury can be challenging. While co-workers and friends can offer some insight from their own experiences, every situation is unique. Browse our frequently asked questions to learn more about your rights to compensation, mistakes to avoid, how an attorney can help you, and much more. What if I have more than one vehicle insured? Under Montana law, if you and your family purchase automobile insurance policies for multiple vehicles for underinsured motorist coverage, and pay a separate premium for each of those insurance policies, you may be entitled to stack insurance coverages on top of one another. For example, if you and your family own five vehicles, pay separate insurance premiums for UIM coverage for all five vehicles, and have a 100/300 policy limit, you and your family may be entitled to five times the amount of coverage. If you think of insurance as a game of chance, the law makes complete sense. You and your family paid good money for separate insurance policies and the insurance carrier agreed to accept the risk of having to pay on each and every one of those policies. Because the insurance company controls how the policy is drafted and its terms, the insurance carrier is in the best position to evaluate risk and loss. Understanding how insurance policies interact with one another and how they may be stacked can become complicated, even for attorneys who work in the field for 15 or 20 years. For this reason, if you are receiving benefits under an underinsured portion of a policy, your injuries are likely sufficiently serious enough to warrant hiring an attorney. I strongly encourage you to have an attorney evaluate your insurance policy. Recently, attorneys have attempted to stack bodily injury insurance policies just as they do underinsured motorist and med pay policies. 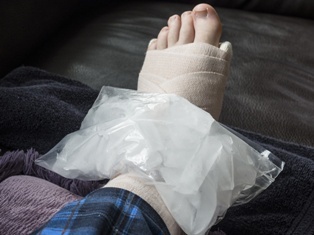 A number of district court cases have ruled that bodily injury policies may be stacked. The Montana Supreme Court has yet to weigh in on this issue. Because the law is fluid and is subject to alternative interpretations, it is a good idea to contact counsel to discuss these issues in greater detail. What happens if I receive Medicare or Medicaid? Although Medicare and Medicaid sound similar, the programs are vastly different. Medicare is a federal program. Medicaid is managed by state governments. The Department of Public Health and Human Services manages Montana's Medicaid program. Following the introduction of the Affordable Care Act, Medicaid significantly expanded to cover more Montanans. Individuals who earn as much as three and four times the poverty rate may qualify for Medicaid. You may now qualify for Medicaid and not realize it. If you are earning less than $75,000 a year, it is worth your while to contact Montana’s Medicaid program to determine if you and your family qualify. Further, your children may qualify for the CHIPS program even if you and your spouse do not qualify for Medicaid. Under Montana law, Medicaid may claim reimbursement for medical bills it paid for injuries sustained in an automobile collision. If you receive Medicaid benefits and any medical bills you incur as a result of an automobile collision are paid by Medicaid, Medicaid must be made aware of the automobile insurance claim so it can request reimbursement. It is extremely important that you submit all your medical bills to Medicaid if you are a Medicaid recipient. Medicaid will immediately take care of your bills, allowing you peace of mind. The amount of money that Medicaid expects in reimbursement is significantly less than the amount of the bill. As I explain below, the bodily injury insurance policy of the driver who hit you is required to pay all your medical bills up front. If you have another method or means of paying these medical bills, the full amounts of the bills will be taken out of your potential automobile insurance claim. In short, as with health insurance, Medicaid recipients should submit all their medical bills to Medicaid for coverage. It is a waste for any Medicaid recipient to not submit all their bills to Medicaid. Like Medicaid, Medicare also has a right to reimbursement for a portion of the medical bills that it pays related to an automobile collision. As with Medicaid, Medicare is willing to negotiate a settlement of the medical bills. For this reason, and for the same reasons Medicaid recipients should submit their bills to Medicaid, all Medicare recipients should also submit all medical bills to Medicare. Because reimbursement may be required, Medicaid and Medicare recipients must not spend money received for medical bills until a settlement is reached with the governmental organization. Both Medicaid and Medicare are willing to reduce the reimbursement amount to a figure that considers attorney fees and other expenses. In my experience, Medicaid and Medicare are first and foremost happy they are notified of the potential for reimbursement. Can I make a claim on my disability policies? Someone who purchases a disability policy is 16 times more likely to qualify for benefits under the disability policy than his or her family will for a term life insurance policy. You may have heard of the AFLAC duck and AFLAC’s commercials concerning long-term disability. AFLAC is just one of many companies selling disability policies. You may even have disability coverage through your employer and not even know it. You may choose among many different types of long- and short-term disability policies to purchase. It is important to understand that many disability policies require reimbursement. For this reason, it is vital that your attorney be fully aware of any disability policies you possess. In addition to the terms of the insurance agreement for a disability policy, that insurance policy may also fall under an area of the federal law called ERISA. For all of these reasons, it is critical that any attorney you hire be fully aware of any disability policy you purchased. Under Montana law, a motorist is required to purchase only $25,000 of bodily injury coverage per person with a maximum of $50,000 per collision. To save money, many people purchase this minimum amount of automobile insurance coverage. When a person purchases an automobile insurance policy with these limits, it is the maximum amount of money the insurance company will pay regardless of the costs you or your family incur from injuries. It is extremely difficult to get any more money beyond the insurance policy limits from a negligent driver. If a judgment exceeds the negligent driver's net worth, that driver may file for bankruptcy, leaving you with little more than the minimum insurance limits. Because litigation is so expensive, it usually makes little sense to pursue the negligent driver for anything more than the insurance proceeds they purchased, even when those proceeds are the mandatory minimum limits. Of all the products available in an automobile insurance policy, the most valuable you can purchase is underinsured motorist coverage. The underinsured portion of an insurance policy provides for payment over and above the amount of the maximum amount available under the other person's policy. Typically, you can purchase as much underinsured motorist coverage as bodily injury coverage. In other words, if you purchase a $100,000/$300,000 bodily injury policy, most insurance carriers will allow you to purchase a $100,000/$300,000 underinsured motorist policy. The most misunderstood term in the insurance industry may be “full coverage.” Most people believe they have purchased "full coverage" but have not purchased underinsured motorist coverage. Underinsured motorist coverage can be the most valuable policy a family purchases as it truly provides peace of mind that medical bills and lost wages will be covered following a serious collision. The next time you talk with your insurance agent, I highly recommend that you purchase as much underinsured motorist coverage as possible. UIM is relatively inexpensive and is the best hedge your family has against a financial catastrophe. However, as I explained above, your insurance carrier may become every bit as adversarial when you want to use underinsured motorist coverage as they are when defending against paying claimants for a collision where you are at fault. UIM coverage extends to wrongful death claims. We have the highest rate of drunk drivers in Montana and are, per capita, one of the deadliest places to drive in the United States. Montana differentiates between a wrongful death claim and a survivorship claim, making an insurance claim much more complicated than necessary. Under Montana law, a person must survive for an “appreciable period of time” for his or her family to be eligible to receive future damages. What is medical pay insurance coverage? When you purchased automobile insurance coverage, you were provided the opportunity to purchase medical pay insurance coverage (med pay). Insurance carriers cannot increase your premiums after you make a claim on your UM, UIM, or med pay coverage. It makes absolutely no sense for a casino to charge you more for your next wager just because you won last time. Similarly, it makes no sense for an insurance carrier to charge you more after you use no-fault coverage. Med pay covers medical bills incurred as the result of an automobile collision regardless of who is at fault. If a motorist is drunk, crashes into a utility pole, and is treated at the hospital, med pay will pay the medical bills up to the policy limit. I recommend that people purchase as much medical pay coverage as possible. Med pay should be used in addition to health insurance. Med pay coverage is often limited to $1,000, $5,000, or $10,000. These amounts often coincide with the costs of health insurance deductibles. You should purchase med pay coverage for at least twice the amount of your health insurance deductible. Approximately 12% of motorists in Montana do not carry liability insurance coverage. If another driver slams into you and your family, there is a one out of ten chance that the motorist who struck you does not have any automobile insurance coverage, which is in violation of Montana law. When you purchased bodily injury coverage, you also purchased uninsured motorist (UM) coverage. UM coverage protects you and your family if you are in a collision with the one out of ten drivers in this state who do not carry any insurance. The amount of UM coverage may not exceed the amount of bodily injury coverage you purchased. Typically, the amount of bodily injury coverage you purchase is the same amount you carry for UM coverage. Most automobile insurance policies in Montana provide an exemption for underinsured motorist coverage if you use your UM coverage. If you are unfortunate enough to be hit by a driver who does not carry automobile insurance, you may be unable to collect on the underinsured motorist coverage described below. It is important to remember that though you purchased UM coverage, your insurance company is not your friend when you make a claim. The entire claims process following an automobile collision is adversarial. Though you trusted your insurance company to cover you if you became involved in an automobile collision and the other motorist has no insurance, your insurance company is your adversary, not your friend. When you purchase automobile insurance, the amount of bodily injury coverage you purchase not only protects others, it protects you as well. Because insurance policies limit the amount of UM and UIM coverage to the amount of bodily injury coverage you purchase, the policy limit you purchase for bodily injury coverage should reflect how much it would take to protect you and your family if you are in a collision with an uninsured motorist. Remember, if you are in a collision, there is a one in ten chance that you will have to use UM insurance. Purchasing as much bodily injury coverage as you can afford is the only way to protect other motorists as well as your family. How long do I have to file a personal injury lawsuit in Montana? If you must file a claim for compensation following a motor vehicle accident caused by another driver in Montana, you need to understand the basics of how these claims work. Knowing what happens during the settlement of these claims, what you have to prove to hold the negligent party liable, and the types of compensation that you are entitled to can be helpful to avoid getting taken advantage of by the other driver’s insurance company. 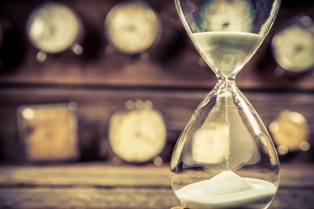 Another vital law that you need to know and follow is the statute of limitations. The statute of limitations is the time period that you have to file a civil lawsuit against the negligent driver who caused your car or truck accident. Like other states, Montana has its own statute of limitations law that sets the deadline for filing a lawsuit in personal injury cases. If you miss this deadline, the judge would most likely refuse to hear your case. Three years from the date of the accident for personal injuries. Two years from the date of the accident for property damages. Three years from the date of the victim’s death, and NOT the date of the accident, if he died from his injuries caused in the motor vehicle accident. Waiting can be perceived by the insurance company as a lack of interest in your case. The insurance adjuster may be more likely to question the cause of the accident and the severity of your injuries if you wait to pursue your right to compensation. You could lose key pieces of evidence that can help you prove the other driver’s negligence. For example, a nearby business’ surveillance tape that may have recorded the accident may have been taped over or the vehicles may have been repaired before an expert could inspect them. Eyewitnesses to your car accident may move or have their memories fade if your attorney does not obtain a written statement from them soon after your crash. Neutral third parties who have no interest in your claim can be powerful corroborating witnesses that you do not want to lose. Were you seriously injured in a motor vehicle accident caused by another driver? Attorney Lucas Foust at the Foust Law Office, is here to aggressively fight for the compensation for your medical bills, lost wages, and pain and suffering that you may be entitled to. Learn why we are different from other law firms. Call our office today to schedule a free consultation with Lucas to discuss your legal options and how he can assist you. If you suffered serious injuries in a motor vehicle accident, such as a car or truck accident caused by a negligent driver in Montana, you could need expensive medical treatments and be off work with no pay for months or longer while you recover. Trying to pay your mounting medical bills and monthly bills when you are not working can be overwhelming. You may not think that you can afford to retain an experienced personal injury attorney to negotiate your settlement. However, this is not true at Foust Law Office since we handle these cases on a contingency fee basis. You owe no up-front attorney fees and do not owe any attorney fees unless you obtain a settlement or win your case at a jury trial. The attorney fees that you will owe will be an agreed-upon percentage of your settlement or jury award. The attorney fees will be taken out of your proceeds before you are paid. The costs associated with your case can include expert witness fees, costs of obtaining medical records, civil lawsuit filing fees, and deposition costs. These costs are separate from the attorney fees you will owe. Some attorneys will front you these costs and deduct them from your settlement. Other attorneys may require you to pay these fees upfront or when they are incurred. The agreement regarding the attorney fees being charged and the costs associated with your case should be clearly stated in a written retainer agreement. While the cost of retaining an attorney will naturally be a consideration in who you hire, it should not be the only factor that you base your decision on. You need an experienced personal injury attorney who has a track record of success in settling and trying auto and truck accident cases and who will aggressively fight for your rights. At Foust Law Office we are selective in the cases that we handle so that we can give them the attention that they deserve. We are not afraid to take these cases to trial when it is in our clients’ interests. To learn how we can assist you, contact our office today to schedule your free initial consultation.